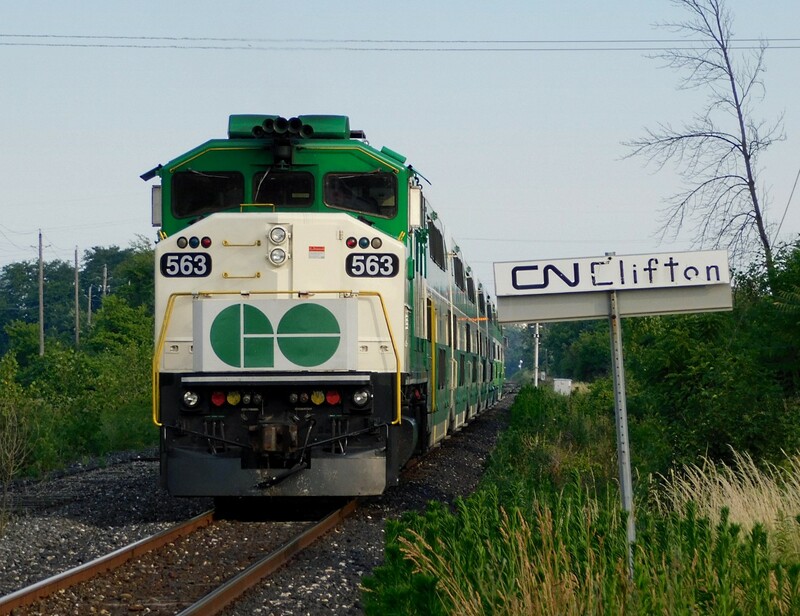 Railpictures.ca - Matthew Tozier Photo: GO F59PH #563 pushes Niagara Falls excursion GO train #787 towards the Niagara Falls VIA station as it passes CN Clifton on the Grimsby Subdivision. | Railpictures.ca – Canadian Railway Photography – photographie ferroviaire Canadienne. Caption: GO F59PH #563 pushes Niagara Falls excursion GO train #787 towards the Niagara Falls VIA station as it passes CN Clifton on the Grimsby Subdivision. Nice shot. I’ve been here a few times but not when a train was running in the correct direction.